This airboat is in showroom new condition, with only 7 hours on it. The hull has been polished and sealed to keep the aluminum like new. The 2017 trailer comes with the remainder of a 5-year warranty. Stock #137694 14 x 7 Custom built airboat powered by a 509 Big block Chevy with 585 HP! 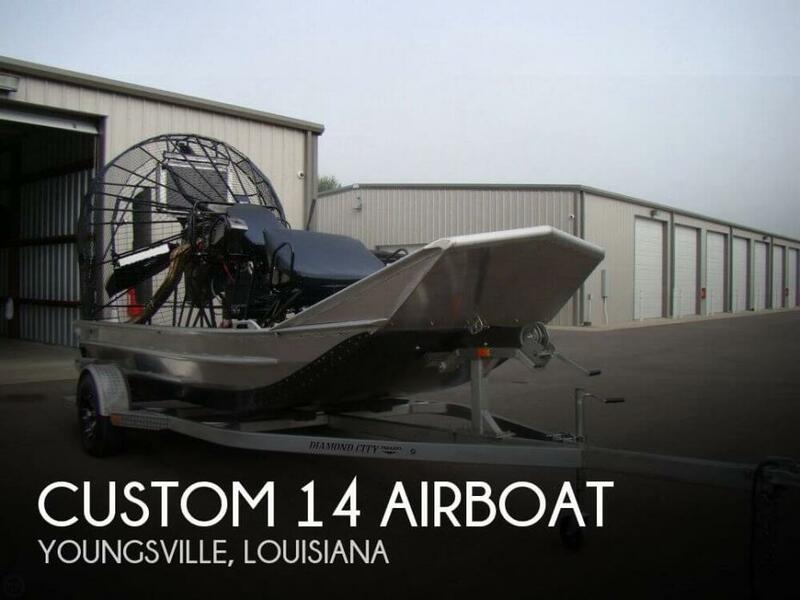 If you are in the market for an airboat, look no further than this 2017 Custom 14 Airboat, just reduced to $49,500 (offers encouraged). This boat is located in Youngsville, Louisiana and is in great condition. She is also equipped with a Custom engine that has only 7 hours. Reason for selling is to purchase an offshore boat that the whole family can enjoy..